I just finished typing my post and then lost my post. This is the retype. What a week! My new 8 month old washer crapped out today. Grrrr, the repair person can't come until late next week. Laundromat again? The amount of clothing Phillip goes through is astounding. Well, he does blow out of 2 diapers per day and spits up on everything. Yes, I have the right size of diaper. He just has incredibly amazing explode-a-poo! Tuesday's weigh-in was discouraging. I gained back the weight lost last week. You'd think all this exercising, healthy eating, water drinking, and such would pay off scale wise. I thought eating a high protein, whole grains, veggies and some fruit combined with working out and sweating my bum off for an hour or more each day would shed major pounds. 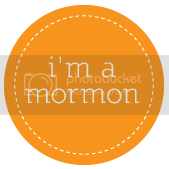 I need to remember that my whole purpose in joining was for a kick in the pants to establish healthier living again. Plus I am a nursing mom. One plus is that my stomach feels tighter; the jelly belly is going away. Goal succeeded. Amelia is driving me nuts! With my zone-to-zone defense partner working late nights getting her to bed by 7:30 or 8:00 is difficult at best. I either have a cranky toddler or a screaming infant (who wants his 7:30 feeding). She is becoming combative with me whenever I nurse Phillip. She screams in my ear, pulls my support pillow off, and swipes the burps cloths. Little stinker. I put her in time out but she just runs right back to pestering me. Poor Phillip has not had a restful meal in about a week. This afternoon I dragged her into her room for a time out and closed her door. She pulled the door off the hinges, granted the screws are stripped but still. I tried reading to her, singing fun songs, etc but she just wants to sit on my lap at the same time (not by my side). We are experiencing some jealousy! Any ideas???? Phillip learned how to arch his back on Tuesday! He now flips over from back to tummy, on his tummy he gets frustrated because his back arching trick does not get him on his back. Changing his diaper is like trying to diaper a flopping fish gasping for air! If you want to see an infant jig faster than an Irishman just come to Sidney, NE and watch Phillip in his jumperoo! He cracks me up. Mia received a cute little tea set for a big sister gift when Phillip was born. Last night I coaxed her into the bath with a promise that she could actually put water in her teapot and have a tea party. That sealed the deal. I thought nothing of her fun bath time until midnight when she ripped us out of bed with a squeal. I tried and tried to calm her down. All she would tell me is she needed "a new one." Justin tried to no avail. Finally, I picked her up only to discover the poor child was wet from her armpits down. Yep, she flooded her diaper. After a fresh diaper, dry jammies, and new bedding she went back to sleep happy as a little clam snuggling her two pink mimi's, yellow mimi, reindeer, kitty, lamb, and two polar bears. Lesson learned: no bath time tea parties right before bed. I am excited to learn my Mom and two littlest brothers are coming stateside for an undefined period of time. My grandma needs some help and my middle brothers need a kick in the pants. 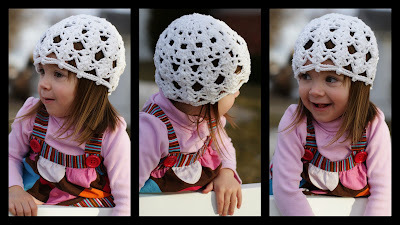 Enjoy pictures of the new retro lace cap I made for Amelia on Monday. It was easy to make....once I rewrote the pattern.